Anchor Bay & The Weinstein Co.
KING OF KINGS (1961) / THE GREATEST STORY EVER TOLD (1965). The 1960s witnessed battling Jesuses on the nation's screens, as 1961's King of Kings was followed four years later by The Greatest Story Ever Told. King won the box office battle (it earned slightly more and cost much less) while Story could claim Oscar bragging rights (five technical nominations versus King's shutout), but which film is actually better? My vote goes to the first one out the gate. Because the makers of King of Kings took a chance by casting heartthrob Jeffrey Hunter as Christ, this was quickly dubbed by industry wags I Was a Teenage Jesus (a play, of course, on the era's I Was a Teenage Werewolf and I Was a Teenage Frankenstein). But the film is far better than that label would suggest, even if Hunter, for all his sincerity, is a bit too bland in the pivotal role. What's more, Philip Yordan's screenplay and the unfussy direction by Nicholas Ray (Rebel Without a Cause) allow the film to sometimes tread off the beaten path of the other religious epics of yesteryear. Gone are many of the standard scenes (e.g. the moneychangers in the temple); in their place is more of an emphasis on the politics of the Roman court, as well as a running contrast between Christ's attempts to free Jewish souls and Barrabas' (Harry Guardino) efforts to liberate the Jewish flesh. With the possible exception of Peter Gabriel's work on The Last Temptation of Christ, Miklos Rozsa's outstanding score is arguably the best ever created for a Biblical epic. Director George Stevens (Giant) certainly knows his way around an awe-inspiring shot, and some well-staged sequences are primarily what The Greatest Story Ever Told has going for it. 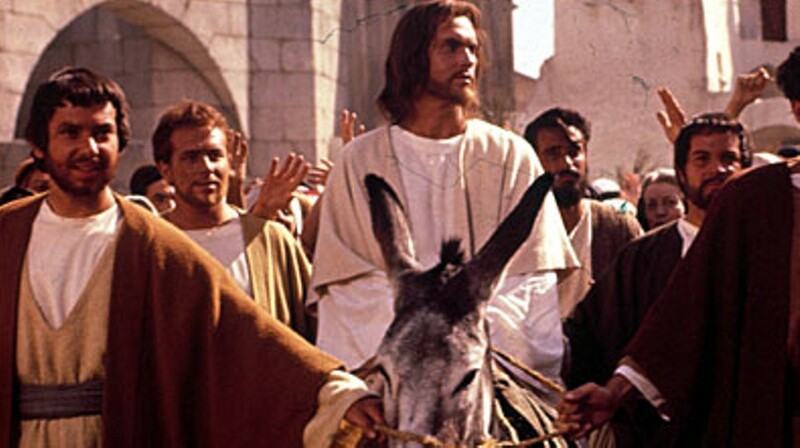 But the film is largely hampered by the poor all-star casting: Max von Sydow, who can normally act circles around Jeffrey Hunter, is too pious as the Messiah — his lack of animation is better suited to a fresco than a movie — and, on the other end of the spectrum, hammy performances are delivered by Charlton Heston as John the Baptist, Telly Savalas as Pilate, and, in the most notorious bit of casting, John Wayne(!) as a Roman soldier overseeing the crucifixion ("Truly, this man was the son of God," drawls the Duke). Blu-ray extras on King of Kings consist of two vintage newsreels — one about the film's location shooting near Madrid, Spain, the other on the picture's East and West Coast premieres — and the theatrical trailer. 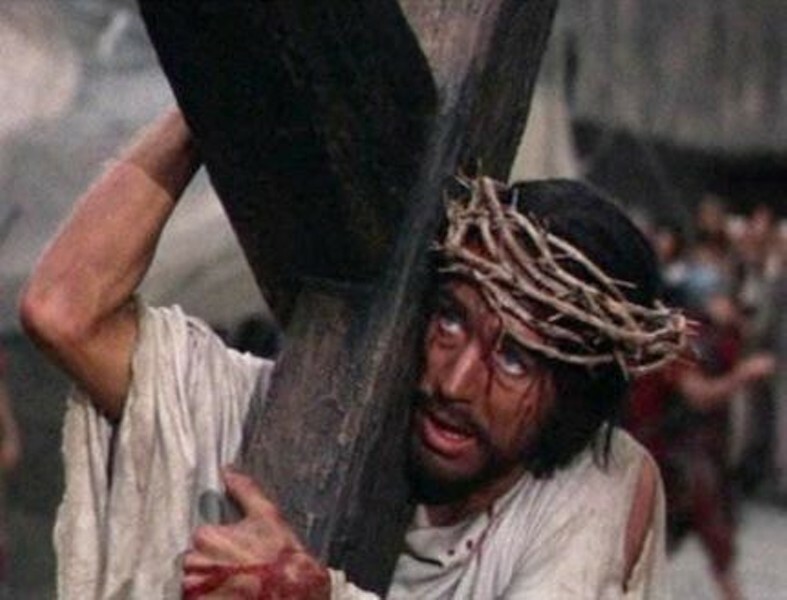 Blu-ray extras on The Greatest Story Ever Told consist of two vintage behind-the-scenes featurettes; one deleted scene; and the theatrical trailer. THE KING'S SPEECH (2010). Arriving on the scene like so much high-minded Oscar bait — indeed, it ended up winning four awards, including Best Picture — The King's Speech is anything but a stiff-upper-lip drama as constrained as a corseted queen. It is, however, perfect film fodder for discerning audiences starved for literate entertainment. 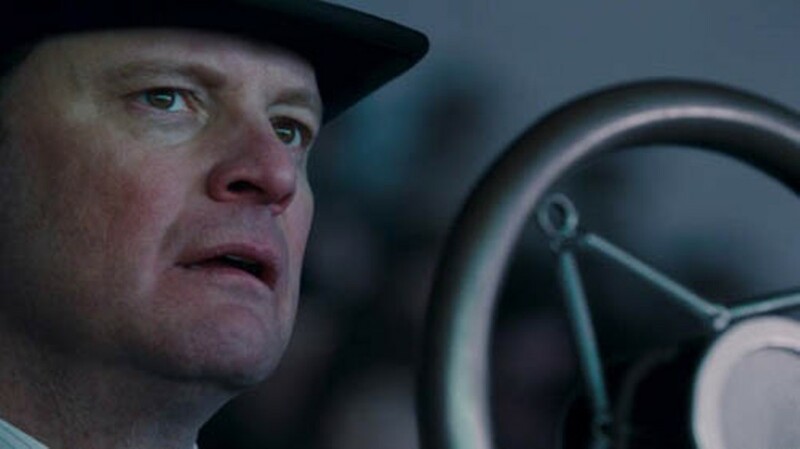 Director Tom Hooper and particularly screenwriter David Seidler (both earning Oscars) manage to build a towering film from a historical footnote: the debilitating stammer that haunted Albert Frederick Arthur George (aka the Duke of York and then King George VI) since childhood and the efforts of speech therapist Lionel Logue to cure him of his affliction. The film is careful to paint in the historical details surrounding this character crisis — the support of George's wife Elizabeth (Helena Bonham Carter), the abdication of his brother Edward (Guy Pearce), the buildup toward World War II (Timothy Spall as Winston Churchill; love it! ), etc. — but its best scenes are the ones centering solely on the unorthodox teacher and his quick-tempered student. Colin Firth (scoring an Oscar) and Geoffrey Rush are accomplished actors on their own, but squaring off as, respectively, George VI and Lionel Logue elevates their game. It's no wonder that they delivered the two best male performances of last year. Blu-ray extras include audio commentary by Hooper; a 23-minute making-of piece; a 22-minute Q&A with Hooper and his cast; the radio broadcast of the real King George VI's 1939 prewar speech and newsreel footage of his 1945 postwar speech; and an 11-minute interview with Mark Logue, Lionel Logue's grandson and co-author of The King's Speech: How One Man Saved the British Monarchy. RABBIT HOLE (2010). One of the best films of last year, Rabbit Hole features a devastating performance by Nicole Kidman that would have deserved every Best Actress prize on tap were it not for the presence of Black Swan's more deserving Natalie Portman on the awards scene. Kidman is all coiled tension and seething anger as Becca, who, along with her husband Howie (Aaron Eckhart, also top-grade), is still attempting to cope with the accidental death of their young son eight months earlier. The loss has caused some distance between the couple, and both handle the tragedy in different ways. Howie, more sentimental than his spouse, wants to again experience closeness with Becca and, after repeated rejections, toys with the idea of an affair with a grieving parent (Sandra Oh) he meets through a support group. Becca, lashing out in anger at everyone around her (including her dithering mom, nicely played by the great Dianne Wiest), finds some measure of comfort in striking up a friendship with the blameless teenager (a fine debut by Miles Teller) who was driving the car that struck her son. In tackling David Lindsay-Abaire's play (with a script penned by the playwright himself), director John Cameron Mitchell — incidentally, going 3-for-3 on my year-end 10 Best lists, following Hedwig and the Angry Inch and Shortbus — makes sure to never betray the material with maudlin melodrama or cheap theatrics. By giving us characters who are sympathetic yet also ofttimes infuriating, the film earns every audience emotion the hard way, not through pandering but by never flinching from its uncomfortable truths. For viewers willing to brave a beautiful bummer, Rabbit Hole proves to be a wonder. Blu-ray extras include audio commentary with Mitchell, Lindsay-Abaire and director of photography Frank G. DeMarco; three deleted scenes; and the theatrical trailer. SOYLENT GREEN (1973). Charlton Heston is arguably best known for his historical epics, Westerns and disaster flicks, but for a brief period, he was apparently Hollywood's idea of the perfect hero for downbeat films that presented the future Earth in an especially grim light. 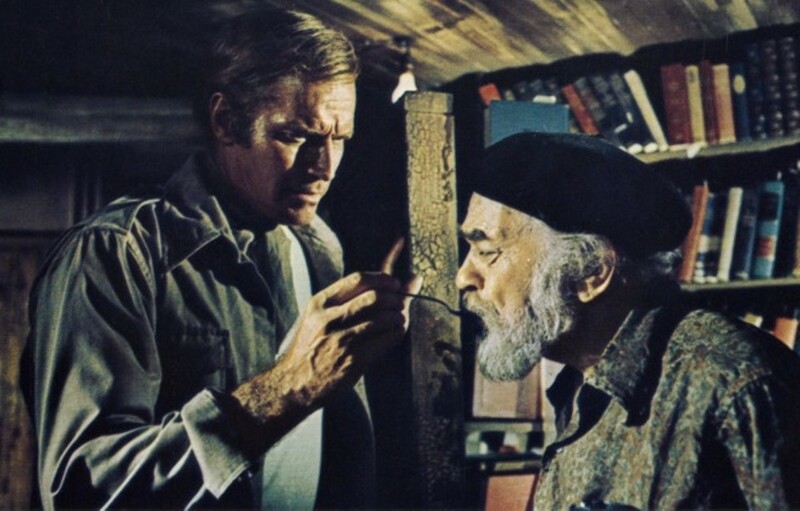 Following 1968's exemplary Planet of the Apes (and a brief appearance in its first sequel) and 1971's execrable The Omega Man, the lockjawed actor headlined Soylent Green, an adaptation of Harry Harrison's sci-fi novel Make Room! Make Room! Set in 2022, at which point the planet is grotesquely overpopulated (there are 40 million people in New York City alone) and today's luxuries (hot water, electricity, and real foods such as meat, veggies and fruit) are enjoyed only by the wealthiest, the film stars a suitably gruff Heston as Thorn, a detective assigned to investigate the murder of a corporate VIP (Joseph Cotten). Aided by Sol Roth (Edward G. Robinson), his roommate and case researcher, Thorn follows a trail of corruption that exposes the secret behind Soylent Green, a food product reportedly made out of soy beans and lentil. The grittiness of early-70s cinema works well for this fatalistic tale, easily negating the dated aspects of the production (love that old-school video game in Cotten's apartment!) and creating a futureworld that's both plausible and frightening. Forty-two years after Little Caesar made him a star, Robinson proves to be typically magnificent in his final performance — his poignant turn provides the picture with its heart, and the 79-year-old actor, gravely ill during filming, passed away a few days after the movie was wrapped. (The greatest actor never nominated for an Academy Award, he learned on his deathbed that he was receiving a career Oscar but didn't live to attend the ceremony.) Incidentally, the film's one classic line appeared on the American Film Institute's 2005 list of the 100 best movie quotes; I'd state it here, but since it's a spoiler, it would ruin the twist ending for anyone who's not already aware of it ... all six of you. Blu-ray extras consist of audio commentary with director Richard Fleischer and co-star Leigh Taylor-Young; two vintage featurettes, A Look at the World of Soylent Green and MGM's Tribute to Edward G. Robinson's 101st Film; and the theatrical trailer.